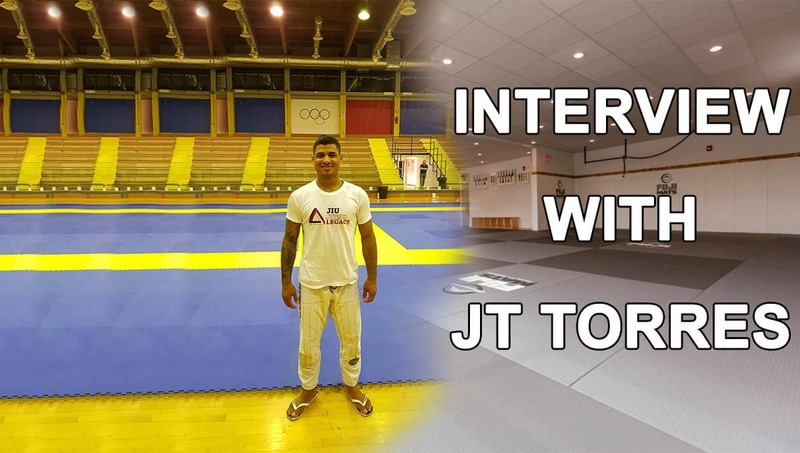 Interview with JT Torres – You Have to Have The Yin and the Yang. Hello JT, great to have you here at BJJ Summer Week 2018. Can you please tell me more about you and BJJ Summer Week and how do you like it so far? What’s up guys? JT Torres here with Jiu Jitsu Legacy. So, my name is JT Torres. I’m a 3rd degree black belt under the professor Andre Galvao and I lived in San Diego for four years training with him. Recently, I moved back to New York to open my own academy Essential and now I am here. So, let’s get started. I’m here at the BJJ Summer Week in Sardinia, Italy and so far, it’s an amazing time and an amazing group of people. People who are eager to learn, train and just meet new friends and that’s what I’m all about. That’s exactly what I think a camp should be about, bringing people together under the beautiful art of Brazilian Jiu Jitsu. It’s an honor for me to be a part of it. I look forward to be part of it for many years from now. You are one of the best-known American-born Jiu Jitsu competitors. Is there any secret? How did you get here? I hate to say because I’m very humble but people do say that I am one of the best American-born competitors out there. Honestly, people ask me ‘how did you get to that level’, ‘how did you get there coming from the United States’. Now Jiu Jitsu is getting really big but when I first started, Jiu Jitsu wasn’t too big. My first instructor was a blue belt. To be honest with you, there isn’t any secret to it. What you have to do is anything you want to do well at, you have to it with love and passion and you just have to work very hard. That’s exactly what I did from the very beginning when I started Jiu Jitsu. I used to study it! Study it is as you are at university. You’re studying to get your doctor’s degree. The same approach I took with Jiu Jitsu. I used to watch videos, read books, drill my mind. I used to get on the mats whenever I could and just constantly studying is what made the difference for me and what took me to the next level. I have been always eager to improve and always had a wide horizon. When it came to learning, I was able to take in a lot of information, like a sponge. I was taking in everything I could and always tried to learn and improve. 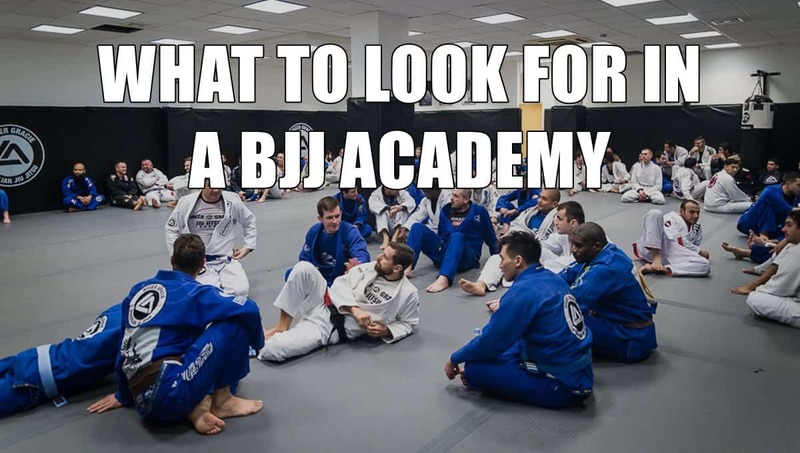 Tell us more about your academy Essential Jiu-Jitsu? We see that it is growing very fast! 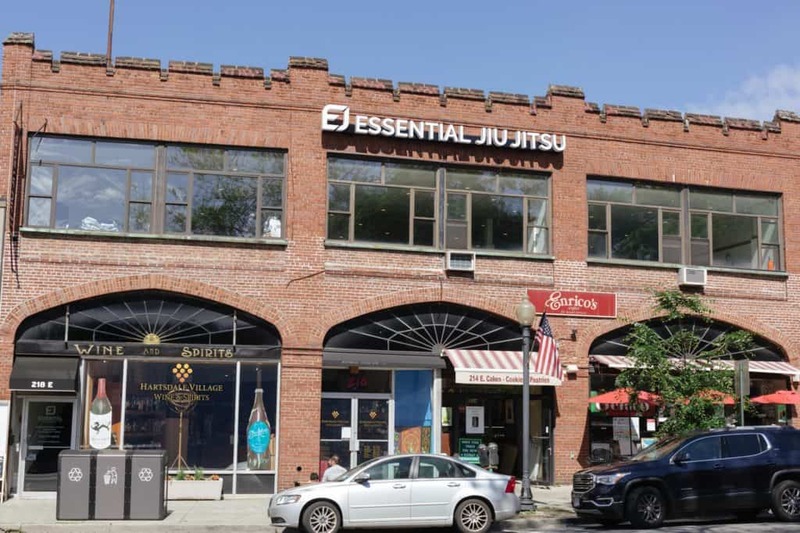 My academy is Essential Jiu-Jitsu. I started my academy about two years ago. It was a long process opening the academy but now we’ve been open a little over a year. It’s going really well. I named the academy Essential because I truly believe Jiu Jitsu is essential for everyone. It’s a great thing to have in your life. It’s going to bring you confidence, get you in shape, and bring you happiness. So, in my opinion, it’s essential for everyone to train Jiu Jitsu. It is growing very fast and I believe is because I put a lot of love into it. I am very passionate about what I do. I am there with my students all the time. I’m there training, teaching and I’ve always wanted to be a leader who leads from the front. I don’t like to say things and then I don’t do them myself. So, what I preach to my students, I make sure I do it and they see that. I want to be seen as an example and that’s why I think my school is going very well. What was the most challenging part of transitioning from full-time competitor to full time competitor + full time instructor? Transitioning from full-time competitor to a full-time instructor was very difficult. In my opinion, the most difficult part about it was how to balance the two. I still compete and obviously I want to help my students reach new levels and their goals as far as competition is about. It’s all about balance. If you do anything in life and you have a good balance, you’re going to have success. So, everyone’s balance is a little bit different. For me, it took me a few months to figure out the perfect balance but I found it and it’s going really well for me. It’s a lot of hard work but life is all about balance. You have to have the yin and the yang. I finally found it and it’s going well. What are your plans for your team in 2018/2019 and how do you plan on achieving them? My plans for my team in 2018/2019 are to continue doing what we’re doing right now and that’s grow as a team. I believe that even though in Jiu Jitsu you go compete you’re the only one on the mat, but there is a whole entire team behind you when competing. So, my goal right now is to continue growing the team, the teamwork and atmosphere. When you do that, you’re going to see success, individual success in everyone because the entire team is working together. So, that’s my goal right now, to continue building that team and the teamwork mindset. 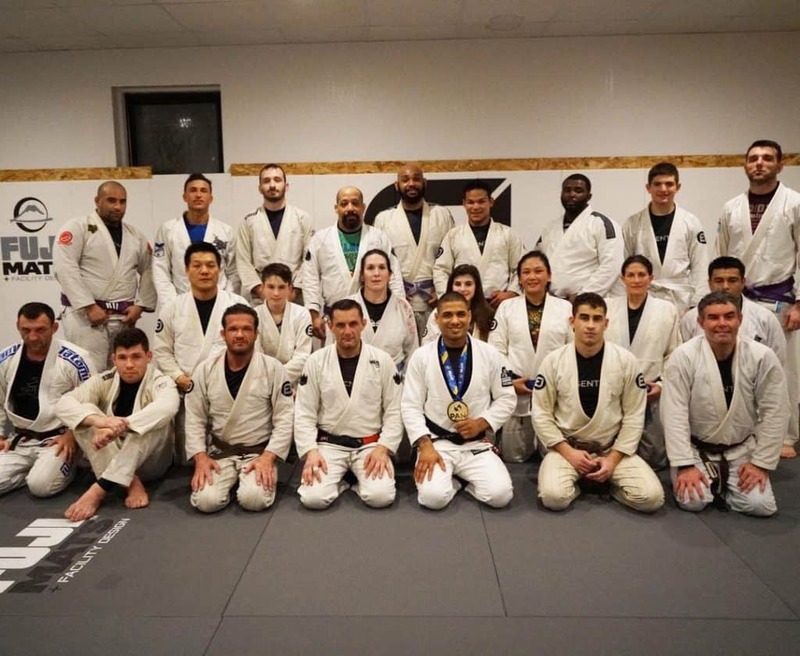 I am sure that as we’re doing that we’re going to see success, medals, idols, and people enjoying themselves and improving their Jiu Jitsu at the same time. Can you share with us who were your biggest influencers during your growth in BJJ and who helped you during your journey? One of my biggest influencers during my growth in Jiu Jitsu, was 100 % my professor André Galvão. He’s someone I’ve been watching since I was a white belt and someone I’ve seen work very hard. I had the pleasure to see that when I moved to San Diego. I was able to see firsthand how hard he works on and off the mat to achieve his goals. Another person who is a huge influence on me is one of my first coaches, Jared Weiner from Philadelphia. He has actually been sure to promoting me to black belt in 2009. He’s one of the highest ranks in America when it comes to Brazilian Jiu Jitsu. He’s a 4th degree black belt now and he’s someone who taught me how to become a champion. In the beginning, he taught me how to work hard and he really gave me that mindset I needed to become a competitor. I was learning under Jared since I was purple belt/brown belt. He’s helped me with the whole mindset as his mindset is at a whole different level. He’s one of the toughest guys you’ll ever meet and one of the nicest guys too. What was your most difficult fight? What about the funniest one? I had many matches over the years and I would probably say that my hardest one was against Lucas Lepri in Finland when we fought in the finals of ADCC, just a year ago actually. I think it was about 30-minute fight against one of the greatest competitors of all time. He’s someone who doesn’t make many mistakes. I had a 30-minute war with that guy on the ADCC mats where it can get pretty slippery, especially after the first 10 minutes. We started sweating, it was pretty crazy but it was an amazing and fun match. It was definitely one of the most difficult matches I’ve had in my life but I persevered, came through and became a champion that day. When it comes to the funniest moments I’ve had was when I first started competing and that was right when I started Jiu Jitsu. From an early age as a white belt, I remember going to a tournament called NAGA which is very big in the States. So, I went to a NAGA and I remember seeing this guy who was wearing a wrestling singlet and he had wrestling shoes on. He was warming up really intense and I thought to myself ‘well, that guy’s going to be pretty tough and must be a high-level wrestler’. So, I was a white belt and 15 years old and was going to give my best shot. When the match started, I pulled guard and I literally pulled him in a triangle in the first 10 seconds. I was able to submit him very quickly and I thought to myself ‘that was going to be the toughest match of the day and it became the easiest one.’ That’s a good lesson for everyone – never judge a book by its cover. Just go in there and always be confident and believe in your skills and have fun. Never underestimate or overestimate anyone. What’s a typical day like for you and what do you normally eat? Do you have some diet? A typical day for me is waking up early in the morning and having a salad for breakfast. I like to think that I eat pretty healthy throughout the year. I eat a lot of meals, eggs, greens, like spinach, broccoli, avocado, and a lot of veggies. I love eating lean meats and steak. I respect all the vegetarians out there, but I do like eating meat which is a big part of my diet. So, going back to my typical day, I wake up early in the morning, have to have a cup of coffee, and I watch some vlogs on YouTube. That’s one of my hobbies, watching my favorite vloggers on YouTube. Then, I get my day started. My days usually start with a 10 a.m. class when I teach my students the technique of the week or do some drills. I have them roll and follow up by teaching the competition class at 11 a.m. where we just roll very hard. We’re getting ready for the upcoming championships. After the competition class, I usually go home and let my dog out. I have a French Bulldog who is my life and his name is King Oliver. I go home and play with him a little bit, walk and feed him, and then I take a nap. Naps are very important and you have to have them. After a 30-40 minute nap, I wake up, and I get ready to teach the kids class. I teach the kids, the white belts, and I teach the advanced class at night. So, my typical day is full of training, sparring, teaching, playing with my dog, and eating good food. It’s a life that I love because I get to do what I love every day. I wouldn’t have it any other way. A little bit about my diet which is basic. I don’t eat badly and just try to eat clean and basic. I train and teach a lot, so I have to eat a lot of carbs throughout the day, like rice and pasta. You need to have carbs and good meats to keep the energy going if not, you’re going to crash. What do you do in your free time? Tell us more about your life outside the mat? I think that a lot of people are starting to pick up on this because I made a second Instagram where I post a lot of pictures of streetwear. For those who don’t know, I’m a big sneakerhead. I love collecting, selling, and trading sneakers. It’s a hobby of mine and I’ve been involved in it since I was a little kid. I love streetwear fashion. So, when I have some free time, I try to design new things and try to bring the streetwear style into the academies. I try to be a little bit different and I also like going out to restaurants, eating out, and going to the movies. You participate in a lot of seminars. Do you have a favorite place? It is an honor and I am very blessed to have the opportunity to travel the world and teach a lot of seminars. That’s something that’s based on my hard work. I’ve worked very hard to build to where I am at and I’ve reached a level where I’ve done well for myself and people want to learn from me. That’s always very humbling. I’ve been to many places around the world and it’s hard for me to pick a favorite place. I have to say that one of my favorite places has to be Sardinia. Ten years from now, I see myself having one of the best academies in New York, in the country, and in the world. 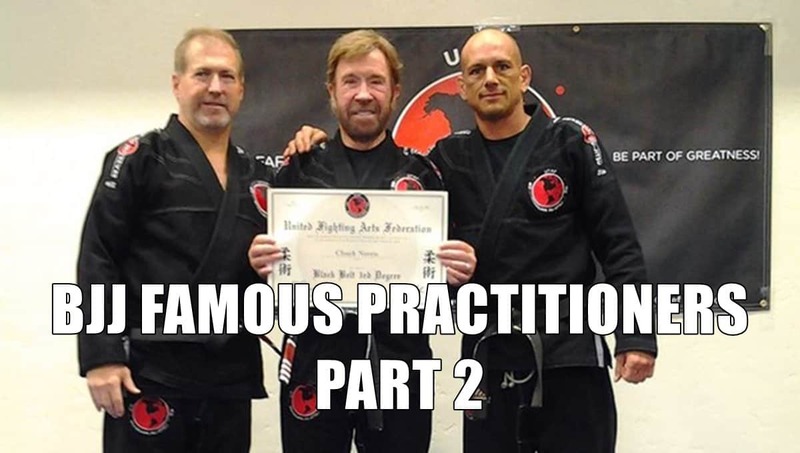 Having an academy full of black belts and where they have their own academies, students, and champions. That’s where I see myself and helping the sport grow, not just in the States but worldwide. I want Jiu Jitsu to spread all around the world and that’s why I travel to teach seminars. I love spreading the art and sharing it with new people. I see myself with a team with a lot of black belts and with one of the best teams which is build of teamwork.